We have mailed letters, sent emails and are in the process of re-contacting all of our customers. If you have not talked to one of our representatives, please call us at 907-243-2683. If you don't have the time or budget to upgrade at this point, please call your merchant services provider a.s.a.p. They can provide you with stand-alone terminals that meet the new requirements. 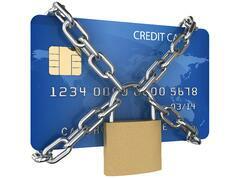 We care about your business and want you to be able to accept credit card payments! *This includes credit, debit, EBT and some gift card systems.